When you are planning your wedding, you usually book the church or venue first, closely followed by the dress, and other key suppliers. But when will you consider transport? There could be several occasions throughout the day when you need to move between locations. 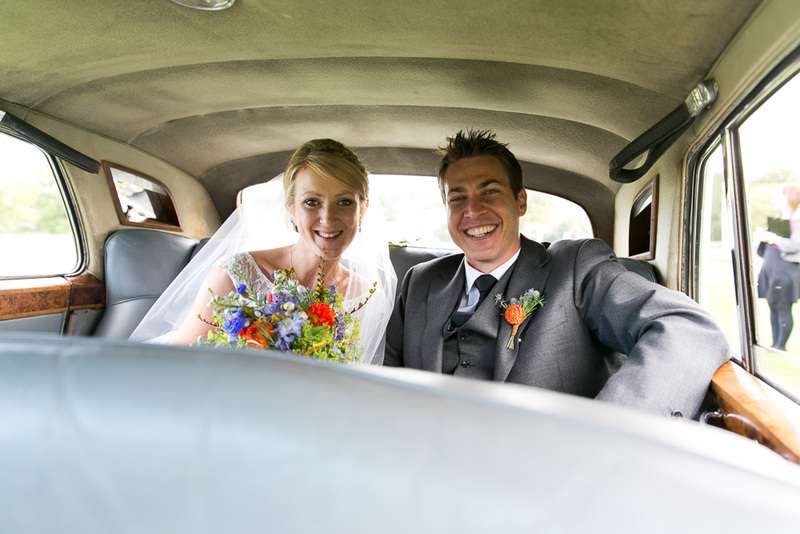 Think about the type of ceremony you are having, a bride can arrive in style at a civil ceremony or church service. If you will be moving to another location between the ceremony and reception, why not make an entrance as the new Mr & Mrs. Also, don’t forget about the opportunity to make a dramatic exit at the end of the night. There are lots of options when it comes to wedding transport, the traditional ribbon adorned classic car is a favourite among many couples and there are lots of different styles of car to choose from. You could opt for a classic vintage Rolls Royce, or a bang up to date Bentley. If you wanted something slightly alternative, how about a VW bus or a sports car made for two? But what if you don’t want to travel by car, what other transport methods are available? A horse and carriage can be a very romantic mode of transport, it’s straight out of the dreamy story of Cinderella – however, it can be bumpy and windy if the carriage is open (definitely tell your hairdresser if the weather is not playing ball on the day!). One of our past clients travelled to the church in a horse and carriage. They took the exact same journey that the bride’s parents had taken on their wedding day, also in a horse and carriage. How about a helicopter? There are some great venues in Suffolk with beautiful grounds that include plenty of space for a helicopter to land. The fabulous Woolverstone Hall has a beautiful lawn at the front where a helicopter could land, allowing you to really make an entrance. Picture all of your guests awaiting your arrival… Do make sure you check with your venue in advance. At another great Suffolk venue, Copdock Hall, the church is a short walk through the field to the reception venue. Couples can lead all of their guests from the church ceremony to the barn by walking through the field. It’s worth mentioning to guests if you intend to do this so that those wearing high heels can bring alternative footwear if they wish. If the wedding reception is being held on the family’s farm, how about travelling to and from the church in a tractor trailer? Very appropriate for a farming couple and this is exactly what Jimmy & Michaela Doherty did on their wedding day. If you are keen to consider the environment on your wedding day, what about a green mode of transport – a tandem bicycle maybe? You will need to consider the dress if you choose to cycle, no-one wants the brides dress to get caught up. Speak to your dressmaker in advance and they can probably put in a few invisible hook and eye fastenings so that the dress can be kept out of the way. Is your venue near to the coast, or a lake? How about arriving by boat? As well as the bride and groom, there are likely to be other people in the wedding party that will need to be transported, and in some cases all of the guests will require transport too. You could hire a coach or perhaps a traditional London bus and travel with all of your guests. In all cases, whatever mode of transport fits in with the overall theme of the wedding, expresses you as a couple and surprises your guests will be fabulous. We’ve talked a lot about making an entrance but what about the end of the night? Whether or not you choose to stay until the very end of the party, you have another opportunity to make a dramatic exit, a final treat for your guests. How about a firework display as you take an executive car down a long driveway? Or a helicopter ride straight to the airport ready to set off on your honeymoon? Whatever you decide to do, you can be sure that your family and guests will be there to share in the enjoyment of your special day and give you a great send off. As you can see there are lots of options when it comes to transport – how will you arrive in style?